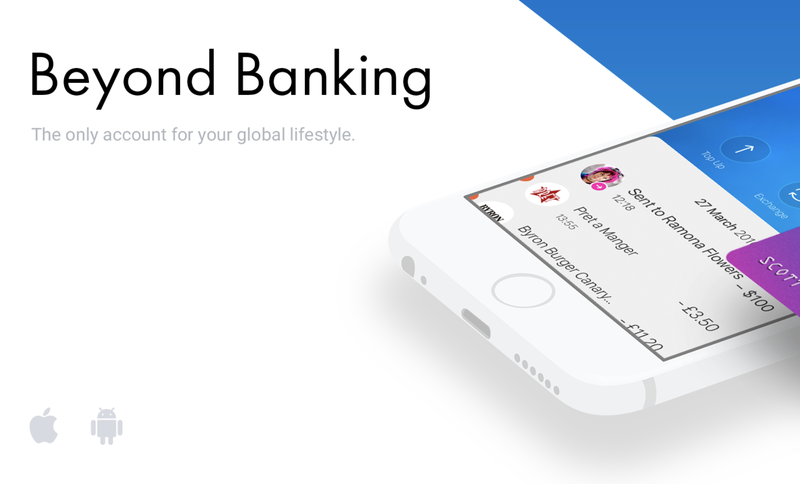 Guest post by Bird Lovegod who shares his experiences of using Revolut in the UK (Revolut is also available to customers in Ireland). Bird is Co-Founder and former editor of The Fintech Times, a weekly columnist for Yorkshire Post, Fintech consultant and journalist. This article is NOT sponsored by Revolut. The writer is just a fanboy. I’m a freelance consultant working for a peer to peer lending company, and as part of the upgrading and freedomising of my life, digital nomadification and all that, three months ago I decided to get a Revolut account. Partly because my current bank is embarrassingly old fashioned and my account there almost featureless, partly because I wanted to dabble in cryptocurrencies, and partly because I wanted the travel insurance. I went for the premium package, which costs £6.99 a month. There’s no way I would’ve considered paying for an account until now, and actually, Revolut isn’t even a Bank yet, but the SaaS model feels more like subscribing to Netflix than opening a bank account. And about as easy as well, certainly no hassle, I’ve had harder times subscribing to a newsletter, and compared to a monstrosity like EDF utilities online service, it’s an actual pleasure. I felt the UX was worth £6.99 on its own. I buy some cryptocurrencies, in exactly the way you’re not supposed to, randomly moving money between litecoins, bitcoins, ethereum, and watching the price fall over the ensuing weeks. I actually found the crypto service substandard. For each crypto, it never told me how much I had originally bought, and I soon had no idea what was going on, especially when the app started automatically spending my crypto when I used the card without topping it up. Basically, I had no idea what was happening, (hey, that sums up all crypto speculation!) and I spent some, cashed some in, and had no idea of the charges of what I did. Revolut is brilliant, but the crypto service is for punters. Serious investors should use a specialist platform in my opinion. Maybe I would feel differently had I bought in on the upward curve rather than the nosedive. The Vaults system on the account is great. Vaults are mini savings accounts, you can just create them for a specific purpose, a holiday for instance, then move money in when you feel like it, or on a regular basis, or even every time you spend by having the pennies change go into the Vault of your choice. My travel vault has £84.93 in it I never consciously saved. I have four other Vaults for specific purposes, great for people who struggle to save and find money as a concept rather unintuitive. And now I’m faced with a choice. Revolut has brought out a new plan, an upgraded plan, with a METAL card. Revolut Metal. It comes with a concierge service, 1% cash back on every card payment, free FX, which is good because I’m off to Cambodia God Willing in a few months with £2000 to use for humanitarian compassions, free medical insurance Globally, Travel delay insurance, airport lounges coming soon…Should I go Metal? It’s £12.99 per month. Even as I’m writing this Revolut support has been messaging me, they suffered from overdemand of the card, having only 10,000 in the first run. They’re efficient, even in a problem. Where it counts. I’m one click away. You know what. The 1% cashback covers almost all of the extra £6 per month compared to what I’m currently paying. £12.99 a month for a bank account, goodness me, some banks will pay you £100 to use them, this one charges you. And still, I click continue, to accept, to upgrade to Revolut Metal. Why? For all the benefits, which actually, I think I’m going to use and enjoy, or hopefully not need, but be glad they are there. And for a Metal Card, and for one straight and simple reason. The reason that overrides all others, pretty much, that makes heart say yes. Because it’s cool. And I like them. I press Continue. A message pops up. I’m £0.89p short to upgrade. Goto Topup, I do, and seamlessly add another £20 with a single click. (I’ve set it not to take from my Vaults). Do I continue? Last chance to say no. Its welcoming me. It’s automatically going to save my 1% cash back in a new Vault, I’m safe when I travel. The Concierge service is simple. You just tell them what you want. I test it. “flights to Cambodia in November please, return December. Cheapest option.” Are they actually going to sort this out for me! I get a response back almost immediately, they want more info please, like how many travellers, ok, I can accept that. But it was a real person who emailed back from Revolut Concierge, Powered by The Sincura Group, the winner of Concierge Company of The Year. I may just be a freelance fintech consultant, working on a bench in a coffee shop in Sheffield rather than a bar on a beach in Thailand, but I have a VIP concierge service and my card is in the post and it is ice cool Metal. You know how Revolut makes me feel? Like a rich man. Previous ArticleWhat Makes Irish Datacentres a €5.7 Billion Industry?